Rent your dream home with Dream Builders Realty! Our team of REALTORS® in Central Florida is uniquely qualified to help you find a home to rent. A knowledgeable REALTOR® can help you find the best rental to fit your needs and will ensure that your interests are appropriately represented throughout the entire renting process. When is renting a home a good choice? Is renting a home the better option for me? What are some of the best Central Florida neighborhoods for families? Should I Consider Renting a Home? We all know a main part of the American Dream is the dream of owning a home. However, some people just aren’t there yet, and you may be one of them. It is important you know while being a homeowner is a key driver of personal net worth and financial freedom, there are times when renting a home may be a good choice. You need to be honest with yourself to determine whether you are financially ready for a home purchase. For some – especially for a short period – it may make better financial sense to opt for renting your dream home over buying it at first. This lakeside community is located just 20-minutes from Walt Disney World® and plenty of other nearby attractions. While this Kissimmee neighborhood boasts the small town lifestyle, it has a touch of Mediterranean flair that sets it apart from the other communities around it. Living in a good school district doesn’t just bring great teachers and better test scores. It can also help to ensure better home values and a faster resale when you’re ready to make a move. A master-planned community on the outskirts of Osceola County, Celebration is only a hop, skip, and a jump from Walt Disney World®. This quiet community is an example of new urbanism thanks to its safe, walkable, community life. The downtown area is home to shops, restaurants, and other commercial establishments. Located in rural east Osceola County, right off East Irlo Bronson Memorial Highway, Harmony is a certified Green Sustainable community that was originally developed in cooperation with the University of Florida’s Department of Wildlife Ecology and Conservation. Their motto is, “where nature calls you home,” and their location is just one of the many reasons that motto speaks truth to their lifestyle. Recognized by CNN/Money and Money magazine as one of the 100 best places to live in the United States, this community consists of many neighborhoods, parks, schools, and a golf club. Located on the Osceola/Orange County line, Hunter’s Creek is central to many big-name stores such as Target, Home Depot, and Walmart Marketplace, along with dozens of small shops and restaurants. This quickly developing neighborhood is evolving into one of the best Central Florida neighborhoods to call home. Located just southeast of the Orlando International Airport, Lake Nona is home to Medical City, which has brought a collection of professionals, students, and families into the area. A community focused on innovation and wellness, Lake Nona residents are encouraged to pursue an active lifestyle and continued education. Solivita is a 55+ community that has been named one of the nation’s top 50 master-planned 55+ communities three consecutive times. Just minutes from Kissimmee and a 30-minute drive to Walt Disney World® and the Orlando International Airport, this neighborhood is situated in one of the best locations in Central Florida. Considered as one of Orlando’s upscale neighborhoods, Windermere boasts gated communities, private schools, and world famous golf courses. Situated southwest of Orlando, this neighborhood will give you the small-town feel with the security and convenience of a more upscale area. Less than 15 miles west of downtown Orlando, the Winter Garden Historic Downtown area offers a collection of restaurants, shops, cafes, museums, and a performing arts venue. There is also an open-air shopping center with a wide array of chain shops and restaurants. Some people think they can do it all on their own, but we are here to tell you that a REALTOR® can ease that burden for you. Here’s a list of six things you should expect from your REALTOR® when looking for your home in Central Florida. At Dream Builders Realty, we believe in “excellence every time!” These designations and certifications are examples of what makes our firm distinctly different, ensures we are capable of providing our customers with the best service available, and allows you to work with certified REALTORS® in Central Florida. A lot of companies know consumers, like you, are interested in and looking for information about homes and real estate and have created slick looking websites to attract you to their sites. What you may not know is they are really just interested in using web traffic to increase the value of their ad space and then selling those ads to major companies. At Dream Builders Realty, we have a team of highly qualified REALTOR® with a wide range of certifications and designations. Which means that whatever you may be looking for when it comes to buying or selling a home, we have a specialist that can help you. Learn more about how Dream Builders Realty gives back to our community! Ready to find the perfect rental property for your needs? Contact Dream Builders Realty! Looking to rent a new home? 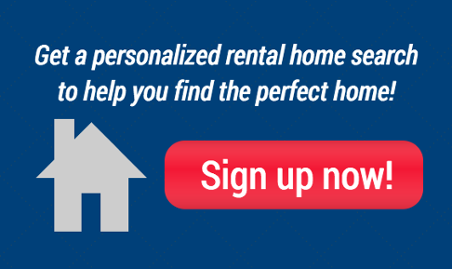 Request a personalized rental home search from Dream Builders Realty. This free eBook has everything you need to know about eight of the most popular neighborhoods in the Central Florida area. Find out which neighborhood is the right fit for you!